We have mentioned the large number of cinema-related catalogues that have been digitised by the Cinémathèque française for its online digital library, Bibliothèque numérique du cinéma. Some of these we will go on to describe in detail, but for ease of reference here’s a complete list of all the commerical catalogues. Not all are from the silent era (though most are), and the majority are equipment catalogues, covering cameras, projectors, electrical supply, lighting, fire protection, cinemas seats etc. Notable firms mentioned include Gaumont, Pathé frères, Paul, Urban, Edison, Tyler and Williamson. Many of the catalogues come from the collection of Will Day, whose exceptional collection of films, publications and documentation relating to early film was acquired by the Cinémathèque and comprises one of the most substantial collections devoted to early film anywhere. 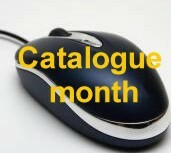 A number of the catalogues relate to Day’s own film equipment supply business. All of the links are to the digitised documents, which are in PDF form, downloadable and fully word-searchable. Photographic list: cameras, lenses, outfits, No. 1 / Ross Ltd.